Due to a recent decision by the Controller’s Office, the library is no longer able to bill students for lost, stolen or damaged personal copies of material you place on course reserve. Students who keep personal reserves past their due date will still be notified that the book is overdue, but we will not be able to place a fine on their account to prompt them to return the item. This information was emailed directly to ISU faculty. In this poster’s opinion, we don’t do the greatest job of making sure ISU people even know about our blog, so it is heartening to see that we do get some good numbers, and that they have been increasing since we started in 2008! 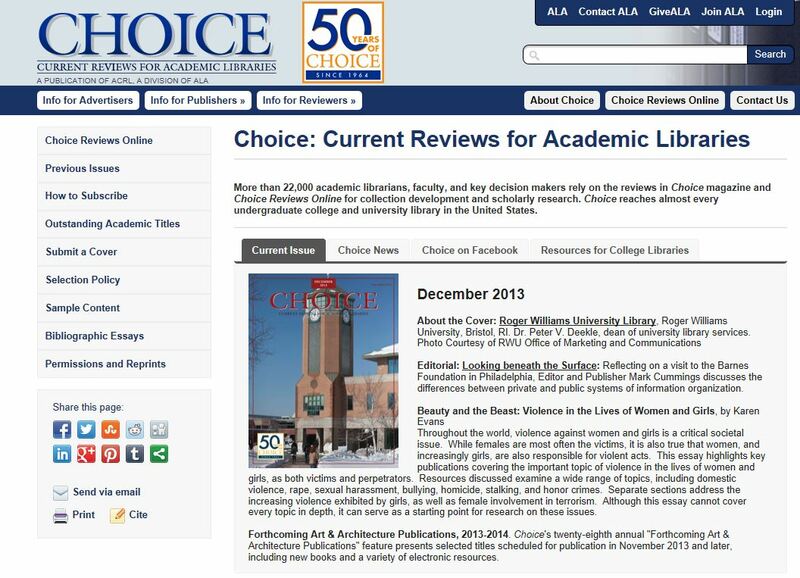 Karen Evans’ (Reference/Instruction Librarian, Public Services) bibliographic essay, “Beauty and the Beast: Violence in the Lives of Women and Girls,” appeared as the lead article in the most recent issue of Choice (December 2013, 51(4): 583-591). Karen also serves as the chair of the Criminal Justice Discussion Group for the American Library Association’s Anthropology and Sociology section. 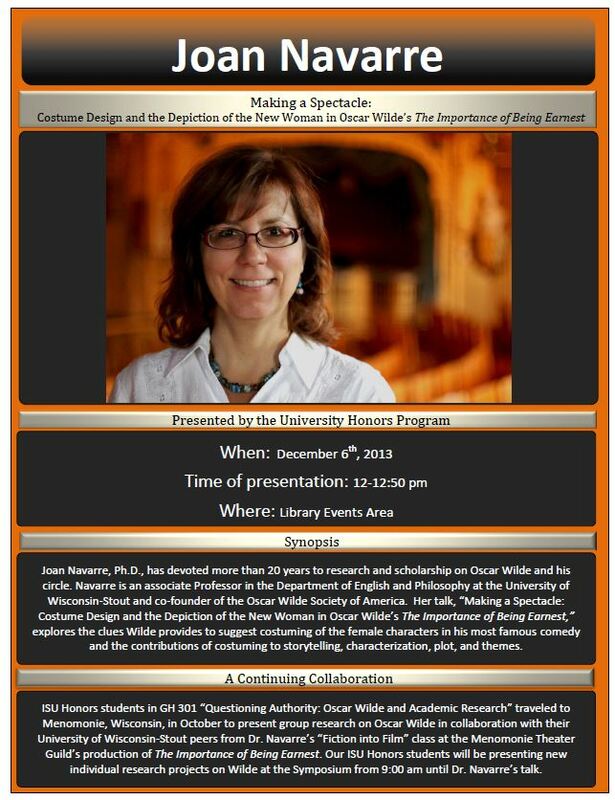 In this capacity she has arranged for Dr. Larry Sullivan, chief librarian at the John Jay College of Criminal Justice in New York, to speak at the group’s meeting at the ALA midwinter conference in Philadelphia. The College of Criminal Justice at John Jay has the world’s largest library of criminal justice items in the world. December 16-20, Monday-Friday, 8:00 a.m. – 4:00 p.m.
January 2, Thursday, 8:00 a.m. – 5:00 p.m.
January 2-3, Thursday-Friday, 8:00 a.m. – 5:00 p.m.
January 5, Sunday, Noon – 5:00 p.m.
December 5: Where is Asia Going? Thursday, December 5, 2013, 10:00 a.m.
Shannon Peterson, President of the Young Adult Library Services Association (YALSA), has appointed by invitation Edith Campbell (Public Services; Reference/Instruction) as Virtual Member of the Research Committee for a term to begin 11/6/2013 and end 6/30/2015. This group has been established by YALSA’s Board to stimulate, encourage, guide, and direct the research needs of the field of young adult library services, and to regularly compile abstracts, disseminate research findings, update YALSA’s Research Agenda as needed and to liaise with ALA’s Committee on Research & Statistics.